This trade has failed due to the seller's maker transaction not being broadcasted. 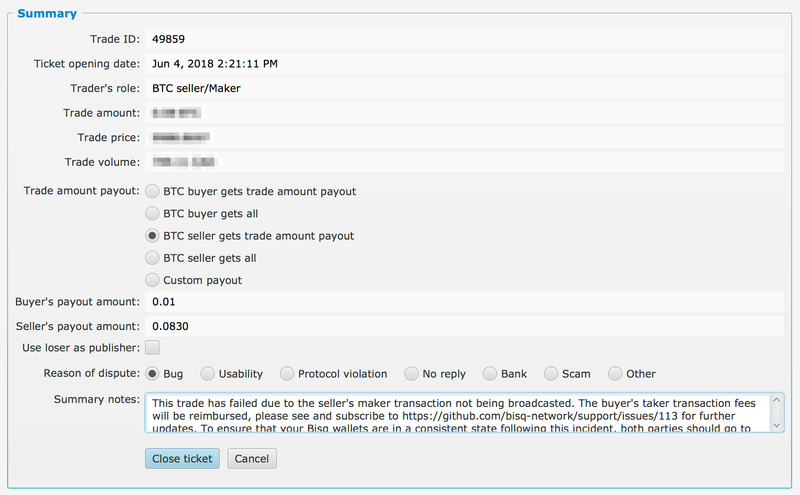 The buyer's taker transaction fees will be reimbursed, please see and subscribe to https://github.com/bisq-network/support/issues/113 for further updates. To ensure that your Bisq wallets are in a consistent state following this incident, both parties should go to `Settings->Network info` and click the `Resync SPV file` button. Thanks and best regards to both parties.